I actually entered college anticipating a career in pharmacy. However, after failing organic chemistry twice, I realized I needed to make a change and quickly! I knew I wanted to stay in healthcare but I wasn't sure in what capacity. In the summer after my sophomore year, I decided to take some different classes to see what I was interested in and to try give my GPA a little boost from that previous "F" and "D" in organic chem! I enrolled in "Intro to Nutrition" just to fill my schedule and reach full-time status for the summer and subsequently fell in love with the class and the topic. For some reason, the nutrition stuff stuck with me and made way more sense than the abstract sciences. I switched my major with no real idea of what I'd even do with the degree. I just knew my grades were better and I felt better about it....I figured the rest would come together on its own, and somehow it did. The biggest challenge for me was being confident in myself and what I knew. It took me so long to even apply for a dietetic internship out of fear of not being accepted because of my science grades in undergrad. Before I'd graduated, I considered it; but after talking to multiple professors from multiple programs, I was certain that I wouldn't get in. Sadly, I believed them! Fast forward to 5 years post-graduation; I was admitted to the first and only internship I'd ever applied to and on the first try. After the internship, passing the RD exam was a challenge for me (I took it 3 times). I really believe the biggest obstacle was lack of confidence. I felt like I was having to relearn so many things because I'd waited so long to even apply and it was manifesting in anxiety, fear, and panic. After failing it the first two times, I literally revamped my entire study routine. The last time, I gave myself 6 weeks to prepare and I spent 1 week on each domain from Jean Inman's [RD Exam Review Course]. I gave myself the last 2 weeks before the exam to do practice exams and questions only. I also scheduled 2 test prep days where I had one of my mentors meet me at the library, and proctor me doing a practice exam. I did 145 questions in 2 1/2 hours just like the exam; then we reviewed them to see which questions I missed, which ones made me the most nervous, and talked through them together. Yes- former Academy [of Nutrition and Dietetics] President, Dr. Evelyn F. Crayton was my undergraduate advisor at Auburn and current Academy President, Donna S. Martin was one of my internship preceptors. Both have been very instrumental in my career trajectory, particularly providing encouragement and affirmations regularly. Dr. Crayton does a wonderful job of connecting you with the right people to improve your weaknesses. Mrs. Martin is great at providing sound advice and developing your leadership skills. Both have a unique way of reigniting your fire when it has burned down and forcing you to press forward towards achieving whatever goals you have for yourself- in my case, the RD Exam. It is important to have representation, period. For me, seeing men in nutrition and dietetics is imperative. The fact that it's 2018 and people still get excited when I introduce myself as a dietitian or say that I studied nutrition in undergrad, is actually sort of hilarious to me. But I can't blame them when it is a female dominated profession; and mostly white females at that. I think seeing men is just as important as seeing other races and ethnicities in the profession because it allows people to see the depth and breadth of knowledge we have; and the impact we can have in so many areas. I think the beauty of being a dietitian is that you're not just locked into doing one thing or a certain job all the time. In fact we can do so many jobs but people don't know that. Diversifying would improve that, I believe. I would suggest entering the field with an open mind. Reach out to people and connect with people to hear their stories, their experiences, and who they're connected with. I have met some amazing people in this profession and honestly, most of the connections were created by "sliding in the DM's" Instagram, Facebook messages, and LinkedIn. And not a single person I've reached out to has ignored me. In fact, it has been my experience that when people like you or they feel like they can connect with you, they are willing to help in any way they can. The minorities in dietetics are slim, but their impact has been massive. 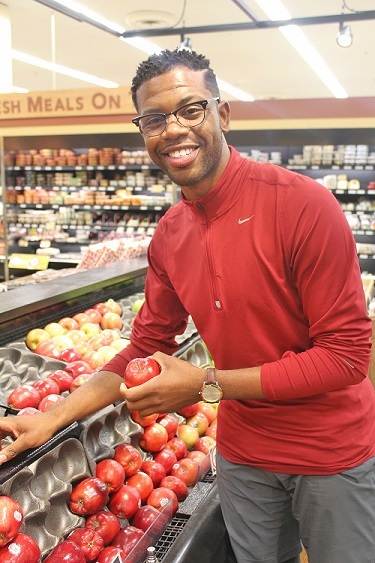 The older generation of African-American's in dietetics have done some amazing work and they're looking for someone to carry the torch, trust me. 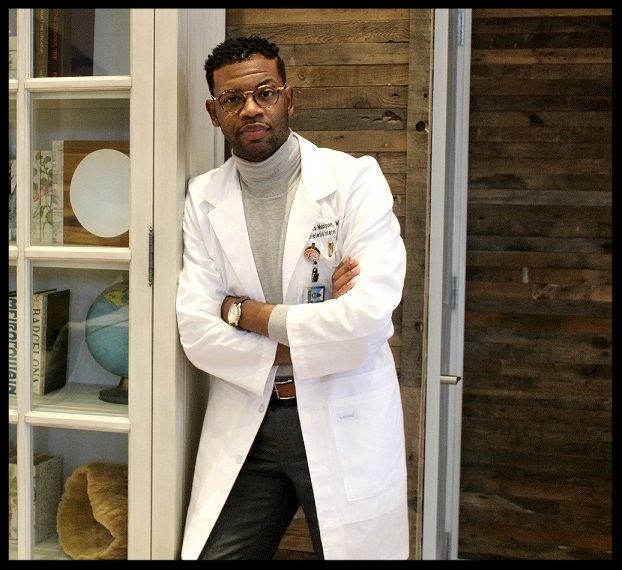 Dr. Crayton has helped me in more ways than I can count. La'Darius is the Directof of Food and Nutrition Services at the Georgia War Veterans Home. He passed the RD exam on March 31, 2018. He lives in the Macon, Georgia. You can follow La'Darius on Instagram.